This stitch was published in “Newest Lacy Stitches”, The Australian Woman’s Mirror, November 1st, 1932. 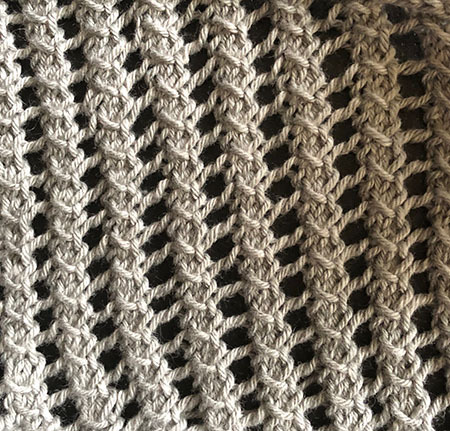 Note: This stitch has a slight bias when knit with regular size needles for your choice of yarn. I recommend going two sizes larger to loosen up the stitches and help counteract it’s tendency to slant to the left. You could also try knitting the second row instead of purling.